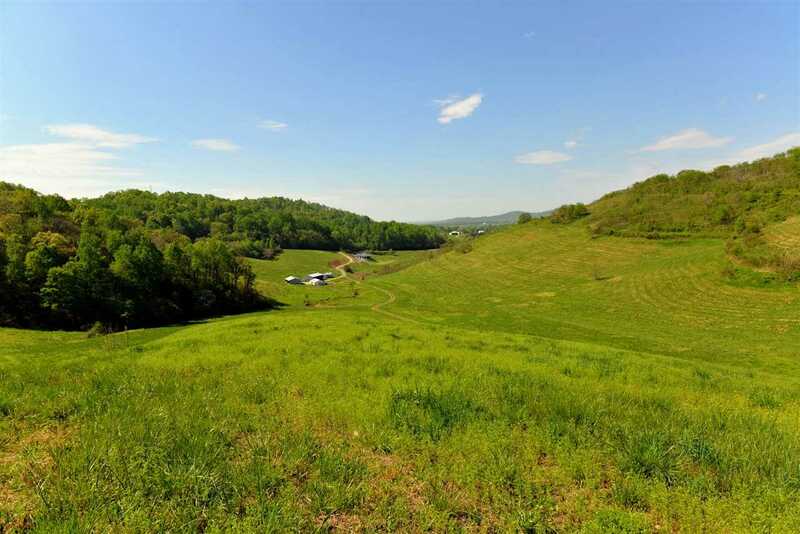 MOUNTAIN COVE: 72 acres with excellent building sites, located close to Lovingston in Nelson County. Elevated home sites with good views and privacy. Land is perfect for orchard or grapes, and includes 1500 sq ft multipurpose shop building, 5000sf crew dormitory building, and an older cottage/office. Wonderful vineyard, orchard or other agritourism potential with easy access to Route 29. Power and water (2 wells) at the property. This is an incredible value with all the necessary farm infrastructure already in place. Easy drive to Charlottesville (less than 30 min). 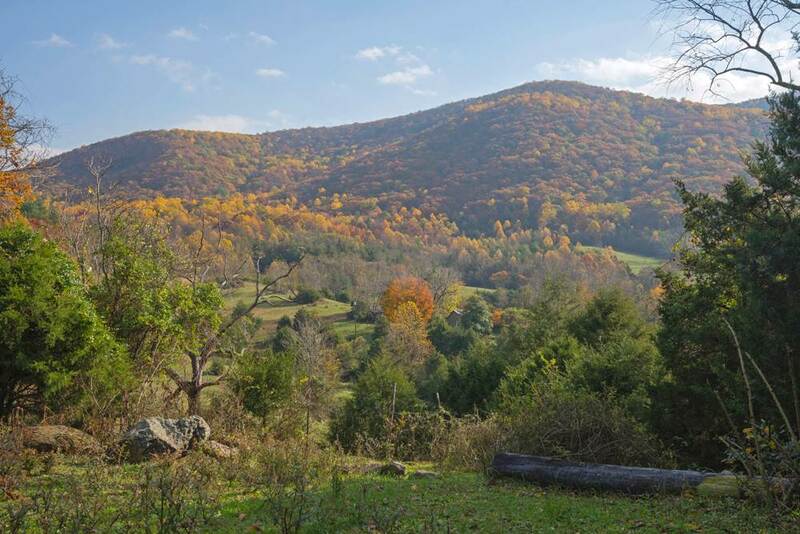 YELLOW MOUNTAIN: YELLOW MOUNTAIN - EXPANSIVE LONG RANGE VIEWS OF THE BLUE RIDGE MOUNTAINS AND THE NEARBY FARMS UNDER CONSERVATION EASEMENT FROM SEVERAL HOMESITES ON THE 75+ ACRE ESTATE PARCEL. THE PROPERTY IS THREE COUNTY APPROVED LOTS BUT BEING SOLD TOGETHER. A PERFECT COMBINATION OF OPEN FIELDS AND WOODED LAND. SHARES A COMMON BORDER WITH MINT SPRING PARK. ULTIMATE PRIVACY BUT ONLY MINUTES FROM VILLAGE OF CROZET AND SHORT DISTANCE TO CHARLOTTESVILLE AND UNIVERSITY OF VIRGINIA. 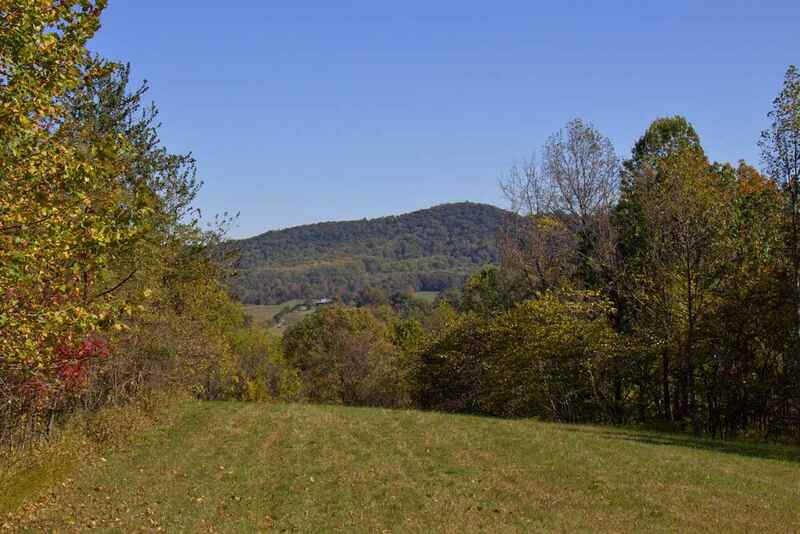 RAGGED MOUNTAIN FARM: Wonderful estate parcel, over 100 acres, in coveted Ragged Mountain Farm. Excellent building site, mostly wooded, complete privacy, beautiful views! Murray/Henley/Western Albemarle school district. FRESHWATER ESTATES: This property contain Lot 16, Freshwater Estates and the adjoining 82 acre property. Lot 16 has been perk for a 4 bedroom dwelling and has a deeded boat slip! 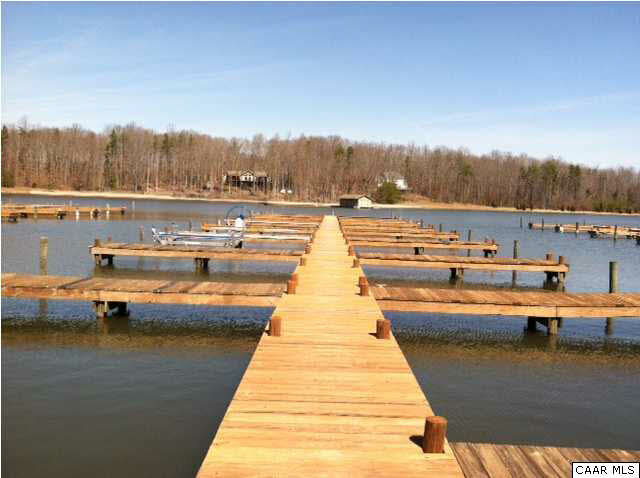 Have your Lake Anna property and farm/hunting property too! Owner financing possible if qualified. BUNDORAN FARM: Magnificent 37+ Acre lot at Bundoran Farm featuring an elevated, level building site offering commanding views of the surrounding pastures and neighboring parcels protected by conservation easement. The mostly open parcel is sheltered on the west by stands of mature poplar and oak, and the building site sits at the edge of the pasture providing light and breeze from all sides. 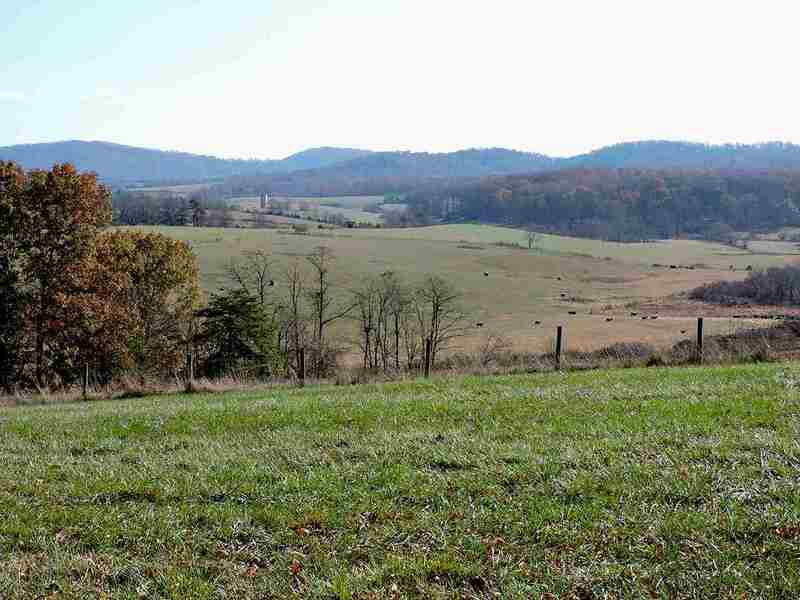 Private, picturesque gently rolling land & a creek all 10-15 minutes south of C\'ville & UVA. In the midst of the mountains, at the end of a state maintained road, these glorious 51 acres are perfectly situated. The property includes a 54x32 building with a clean and renovated 2BR/2BA apt and lots of storage provides living space while you build, or the ultimate camp \"mancave\". Mountain views, a bold interior stream (pond possibilities! ), springs, mature hardwood forest, this one has it all. A park-like ridge top meadow is a picture perfect building site. Trails throughtout. Improvements sold \"as is\" and there\'s a pipeline easement in place. ENDLESS OPPORTUNITIES WITH THIS BEAUTIFUL PROPERTY. 51 ACRES IN GROWTH PATH. Approx. 27 acres cleared. Zoned A2 in Louisa County close to Zion Crossroads. Possible subdivision and currently zoned for Agricultural (Brewery, Distillery, and Winery), Residential, Civic, Commercial & Miscellaneous. Farm house, outbuildings, Concrete Barn w/stables convey with this land. (AS IS). Bring your farm animals, horses too. House is inhabitable in current condition. 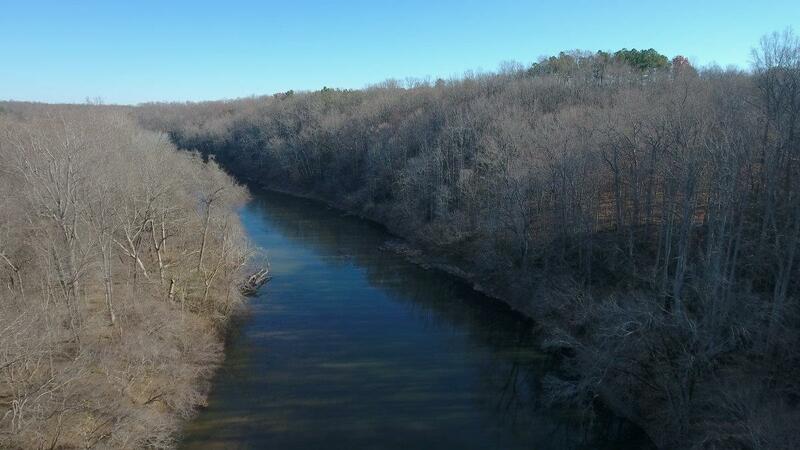 New Land Listing in Fluvanna! 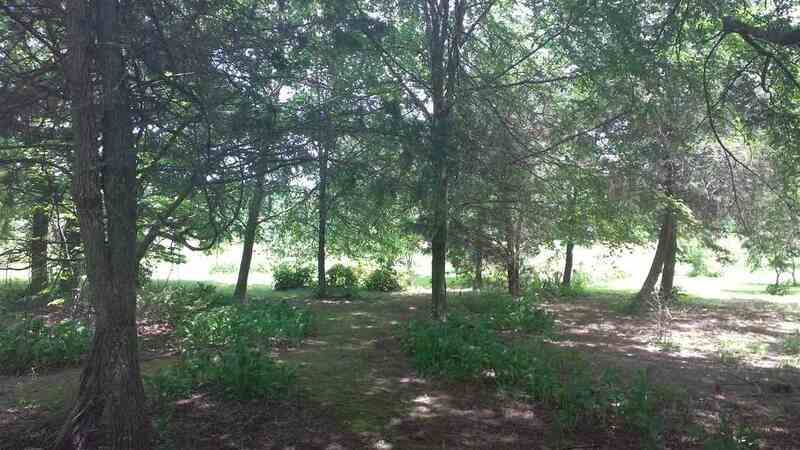 Gorgeous 51.02 acre parcel situated just south of Palmyra on a quiet country lane. Parcel has long road frontage, elevated building sites with distant view of the Blue Ridge Mountains from the highest elevation. 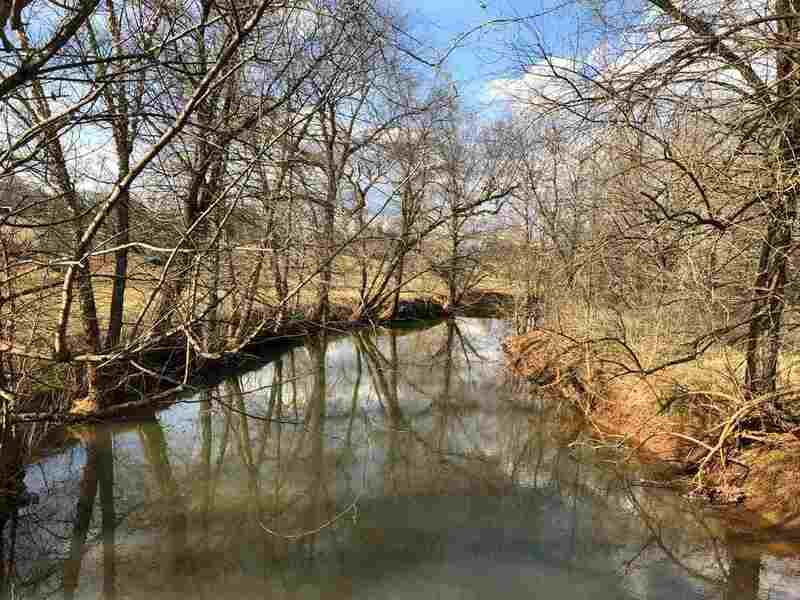 Parcel is a blend of cropland, mature hardwoods, and open pasture with a beautiful pond. Truly a beautiful setting. 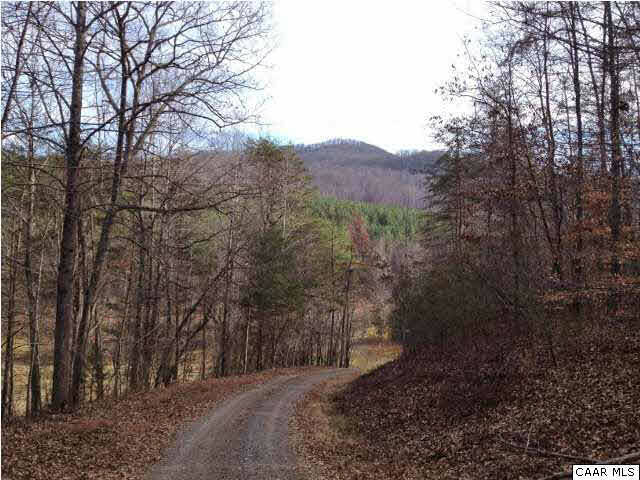 57.1 acres with 3 acres already cleared for a home site on top of Wright\'s Mtn with breath taking views of Priest Mtn. 3.4 acres fronting Piney River with the Yellow Hat pavilion wired & ready for a generator. Ample seating overlooking river which has both stocked and Native trout. There is also a brick bar-b-que already in place to add to the enjoyment for family and friends. 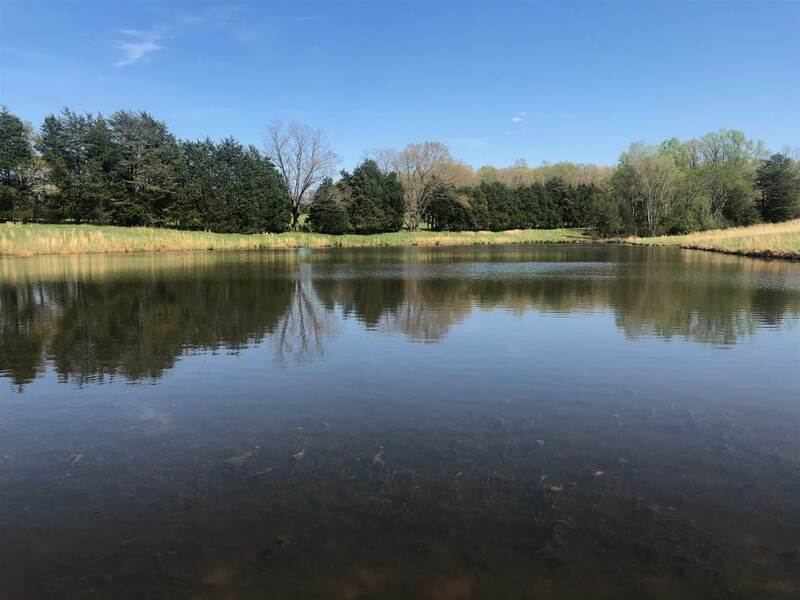 ATV trails throughout the property along with ample wildlife, fishing, swimming and camping add to the recreational activities that are awaiting the new owner of this magnificent property! GW National Forest is close, also Appalachian Trail, Wintergreen, Lynchburg, & Charlottesville. Motivated Sellers!!! Dream home potential with incredible views. 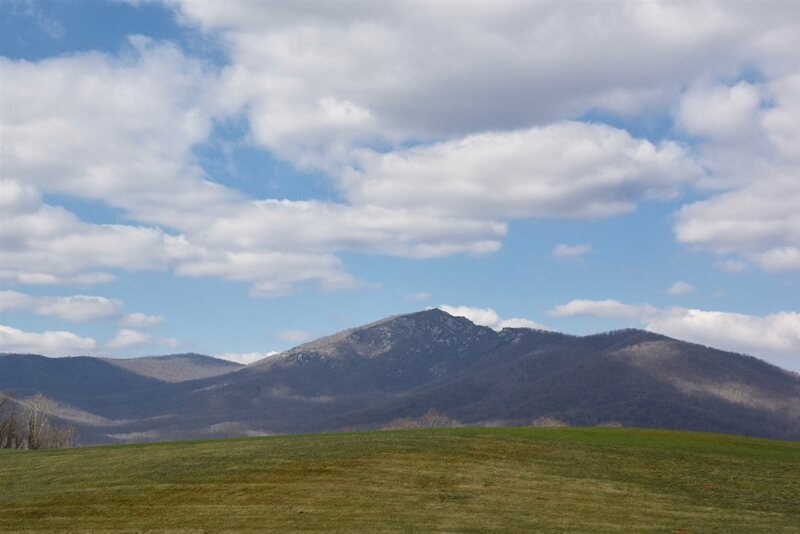 Easy access to Wintergreen Resort, Waynesboro ,and all of the Vineyards and Breweries the 151 corridor have to offer. 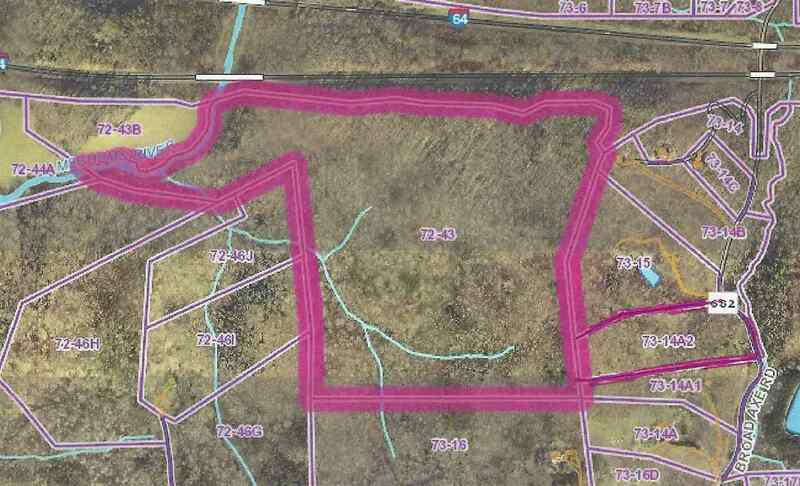 62 acres awaiting your dream home, two sides of the property abut the skyline parkway. Beautiful Estate Parcel w/views of Southwest Mts and Happy Creek. Soil Reports Complete for 5+Bedrooms. Underground Power by Dominion at front of Parcel. 60% open, rolling fields, 40% mature woods. 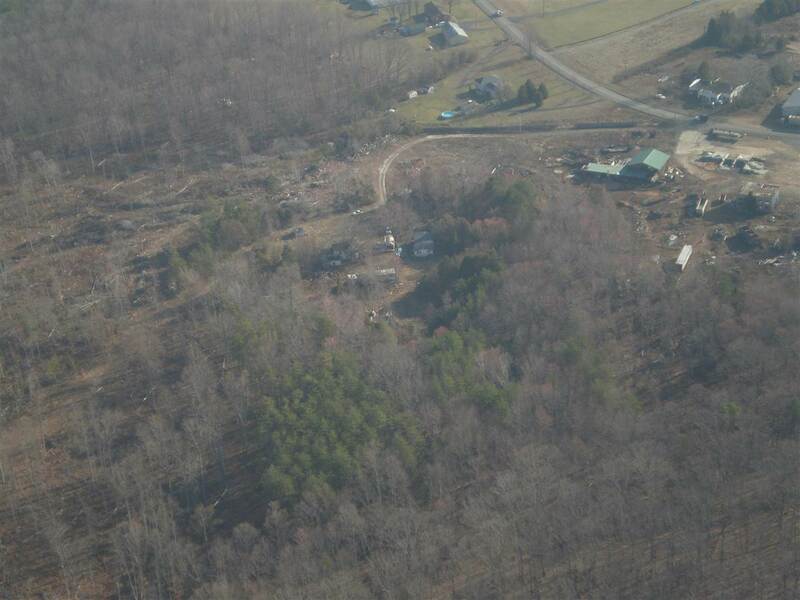 Elevations provide excellent Homesites. Land maintained,seeded & fertilized; consists of highly desirable Davidson soil. VDOT entrance approved & installed. Survey 2008. Scenic 14mi drive to C\'ville, 3 mi into Gordonsville. Aerial and Ground Photos available. Also under Documents: Topo Map, Survey. Parcel has two(2) development rights such that there could be up to three parcels: 50.52acs, 6.2ac, 6.2ac. 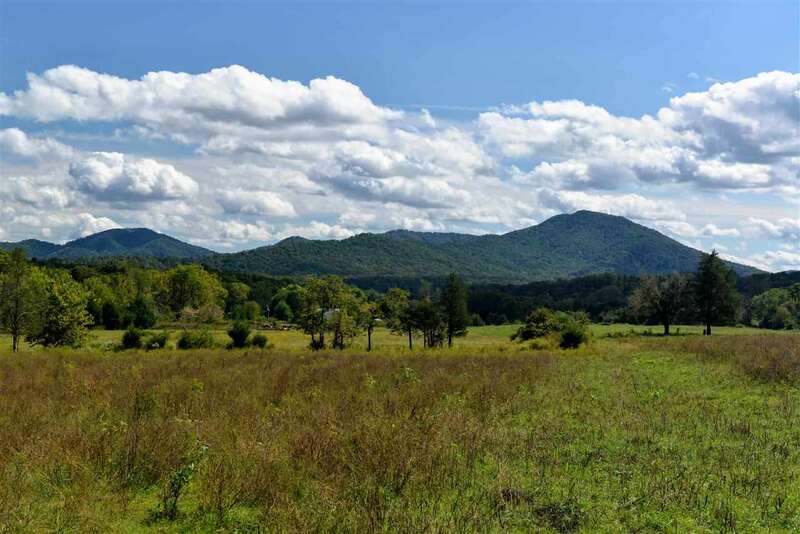 This 64.45 Acre parcel adjoins Chris Greene Lake Park and has Views of Piney Mountain, state road frontage from Chris Greene Lake Road or Dickerson Rd. There are division rights and elevated Building sites overlooking Chris Greene Lake and a good mix of fields and woods. and good water sources on the property. Within easy access to The city of Charlottesville and Shopping at Hollymead Town Center. 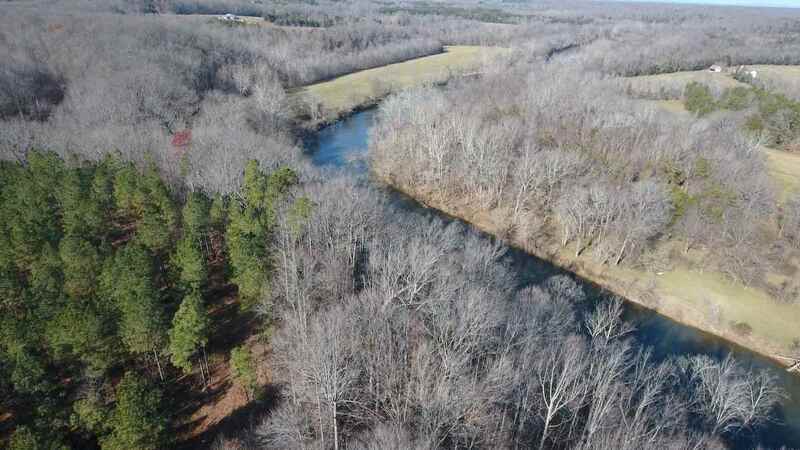 This 65.52 acres offers very long river frontage on the Tye River with a mix of hardwood and planted pine Great access to the river with several building sites. Ideal for hunting, fishing, kayaking. 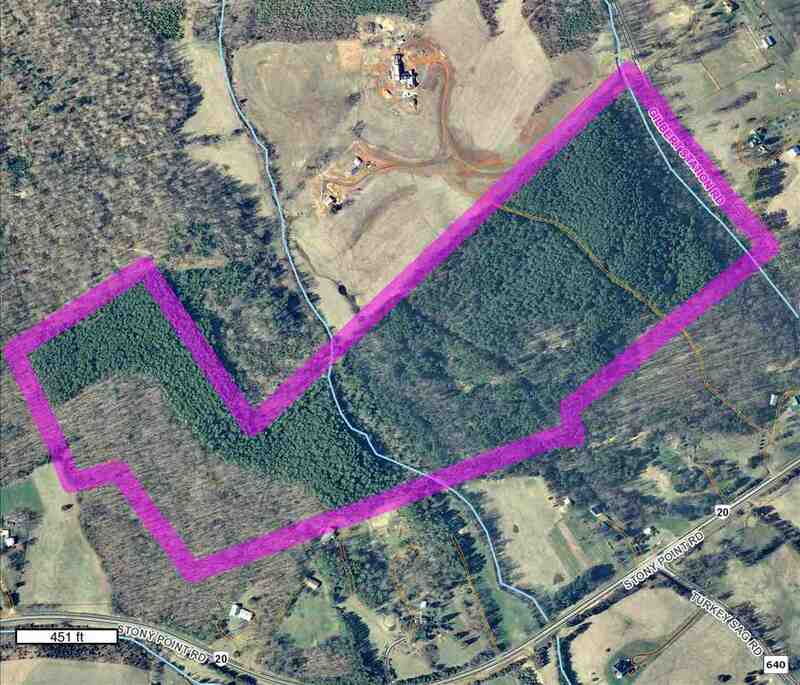 66 +/- Acres in Southern Albemarle County. 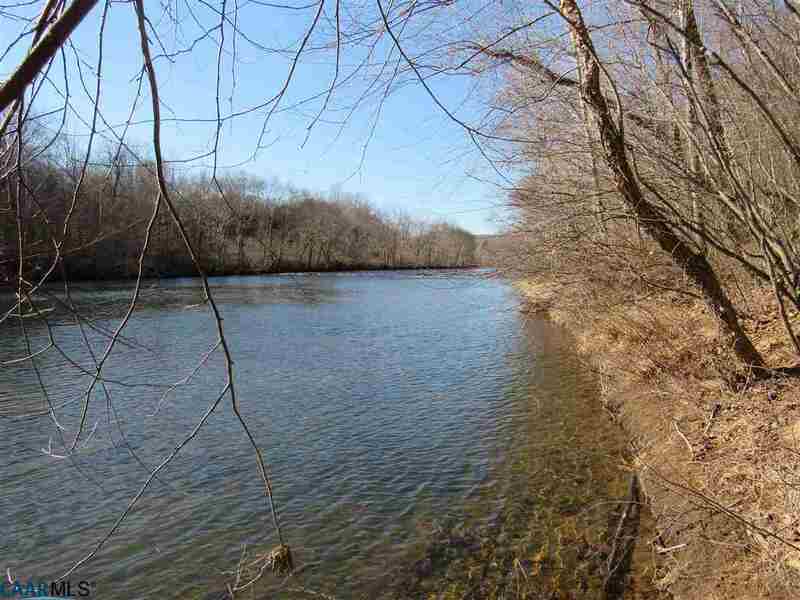 Beautiful land - 75% hardwoods surround 25% open fields. Agricultural well and multiple automatic livestock waterers, fenced fields and bold streams! Multiple building sites. Property has division rights and access by deeded easement. Great location with easy access to Charlottesville or Scottsville. Land Use Taxation $218.14 per year! 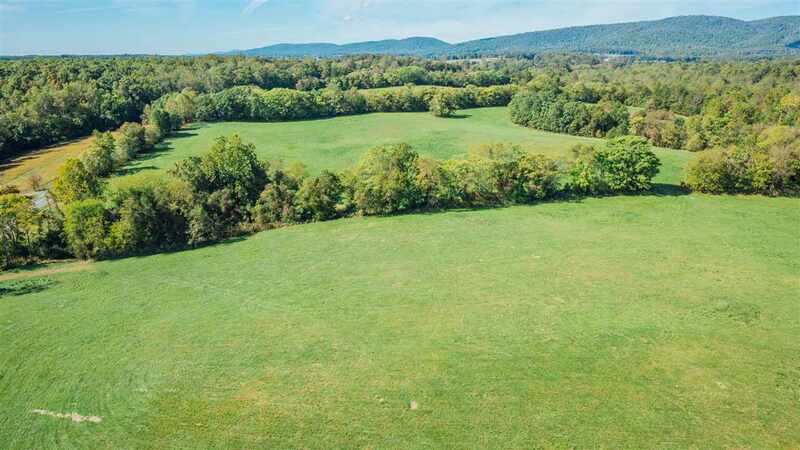 Set among the bucolic farmland of Orange County, this beautiful, 66 acre parcel offers a classic and versatile Virginia setting ideal for horses, farming or a privately situated dream home and features several possible building sites. 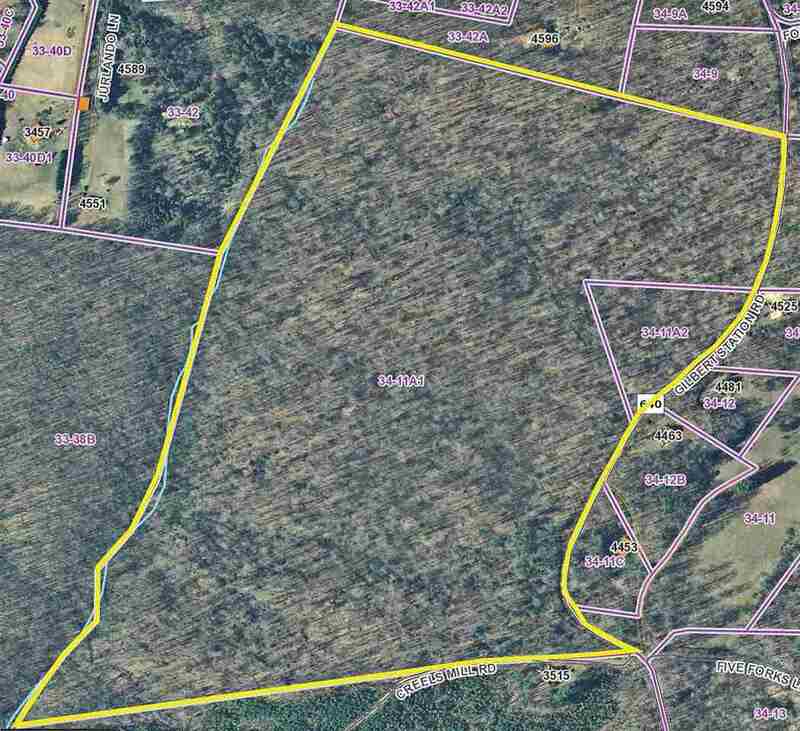 Largely open and in pasture, this property features both rolling-hill and bottom land elevations as well as some wooded acreage. Additionally, it is crossed by the freshwater stream Terrys Run. Centrally located and only minutes to Route 20, it is a reasonable commute to Fredricksburg, Dulles, Richmond, Tysons Corner, Charlottesville or Orange. Beautiful wooded property of 65+/- acres with six theoretical division rights. The property has approximately 1800\' state road frontage along Gilbert Station Road. Enjoy Preddy Creek Trails Park which is approximately a half of a mile away. Located approximately eight miles away are Restaurants and Shopping at Hollymead Town Center and the Charlottesville Airport. Two tax map parcels 34-11A1 & 11A2. 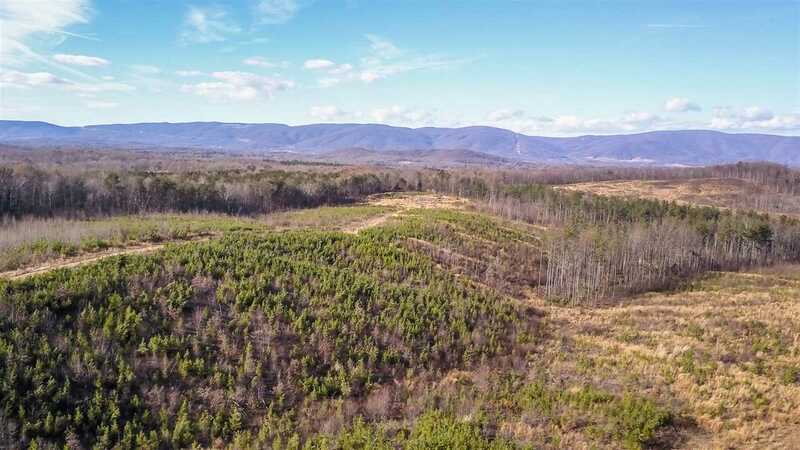 Conveniently located between Charlottesville and Richmond, this approximately 68 acre parcel has one division right and a scenic 11 acre lake. Gently rolling pastures offer a multitude of building sites. Rural and quiet, the setting is private yet has easy access to the interstate and outdoor activities. Made up of 2 parcels, with a 200 ft. well, power and phone in place. The solid gravel drive is completed and the land has partial fencing. Large storage building has power and water. 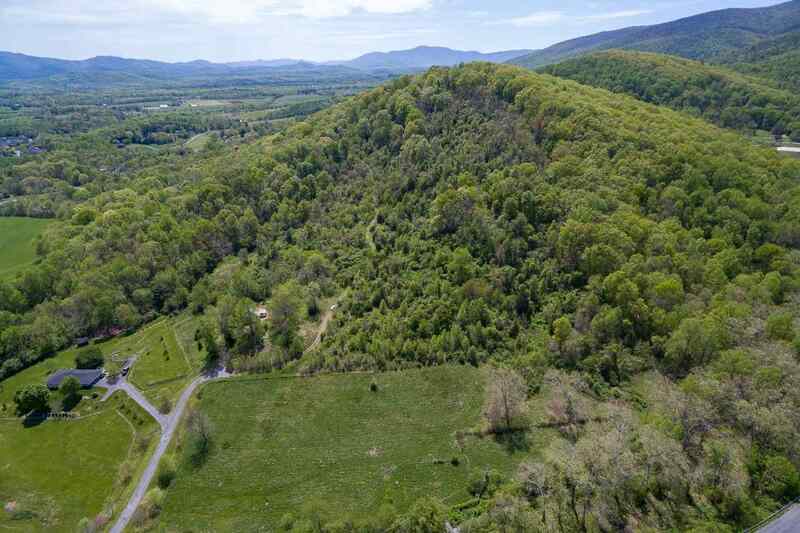 Exceptional land minutes from downtown Crozet, excellent access to 64 and 250. 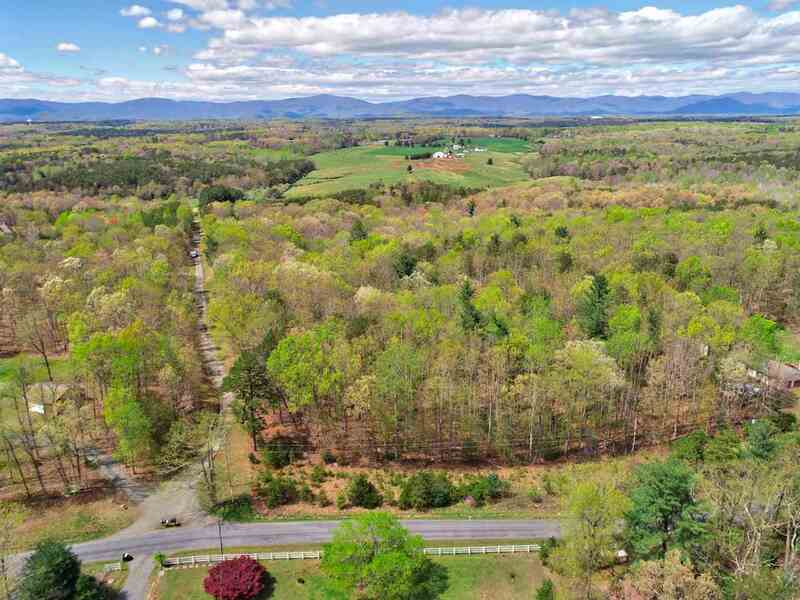 Nearly 75 acres in Western Albemarle, with development rights, sweeping mountain views, several fantastic homesites, stream bordering the property, opportunity for trails, use as agricultural land ... large and mature trees that surround the property, with some exceptional massive trees down at throughout the landscape. Peaceful and quiet, but minutes to shopping and western schools. New Land Listing in Orange! 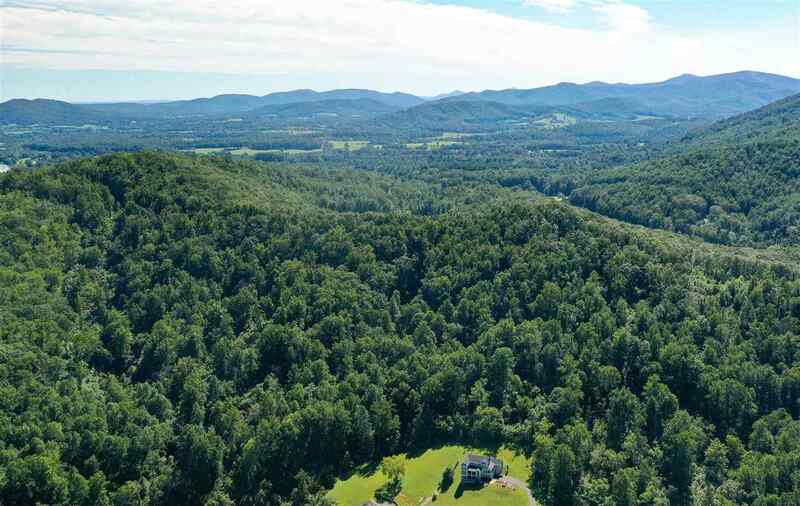 Laurel Ridge is 81.33 wooded acres with more than 1/3 of a mile (1800 feet) of quiet country road frontage, located just 15 min. from Charlottesville airport. 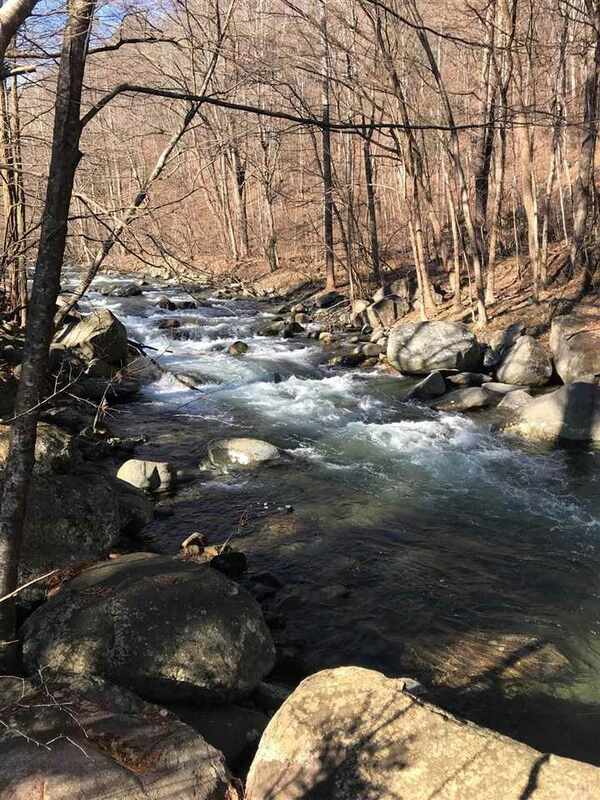 Flowing stream at back of property, with potential Blue Ridge Mountain views. 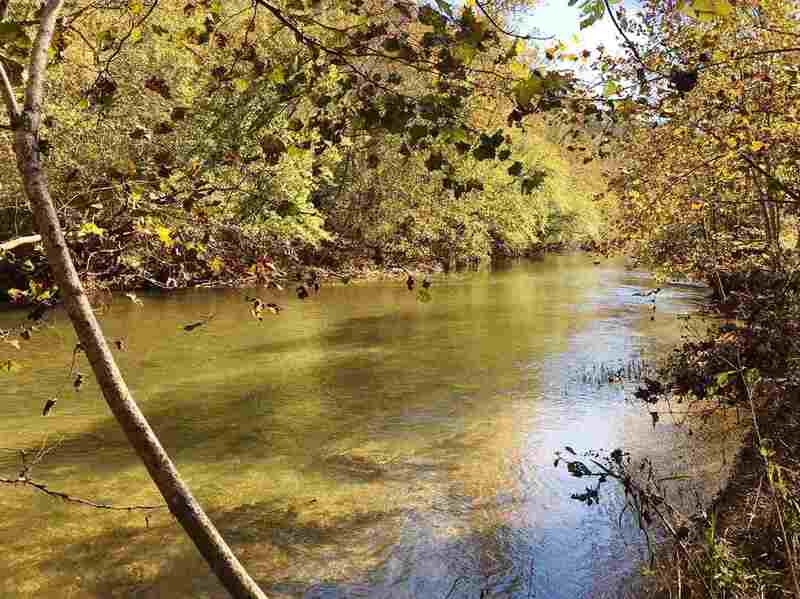 Property includes miles of nature trails and can be divided into beautiful home sites, nature/hunting preserve, farm location or any combination to suit the new owner. This property offers complete privacy and a ton of potential, within 25 min. of Downtown Charlottesville. 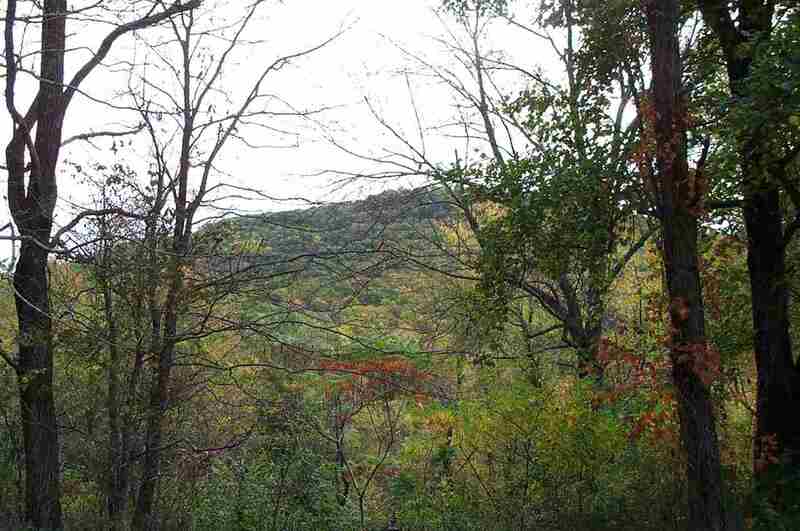 Secluded mountain parcel with potential 180 degree mountain views from some parts of the property. Large boulders and hardwoods and a bold stream bisecting the property, abundant wildlife and pond just beyond cabin. Old house ruins and incomplete cabin convey as-is. Don\'t miss owning 84 acres of private wooded land, only 4-5 miles to the University of Virginia & the City of Charlottesville. Own a piece of Rag Mountain. This property is bowl shaped at the top with views back to the East & attaches to Rosemont Subdivision at the top. The lower part rises from the road & is beautiful with mature trees & rolling wooded hills that rise to the top of Rag Mountain. There is an nice building site at the lower portion & several bold streams and springs. This is perfect for recreation, hunting & building your secluded dream home in the woods! 5 Division Rights are available & make this site perfect for a possible Conservation Easement. This property is secluded & private and cannot be viewed without appointment. 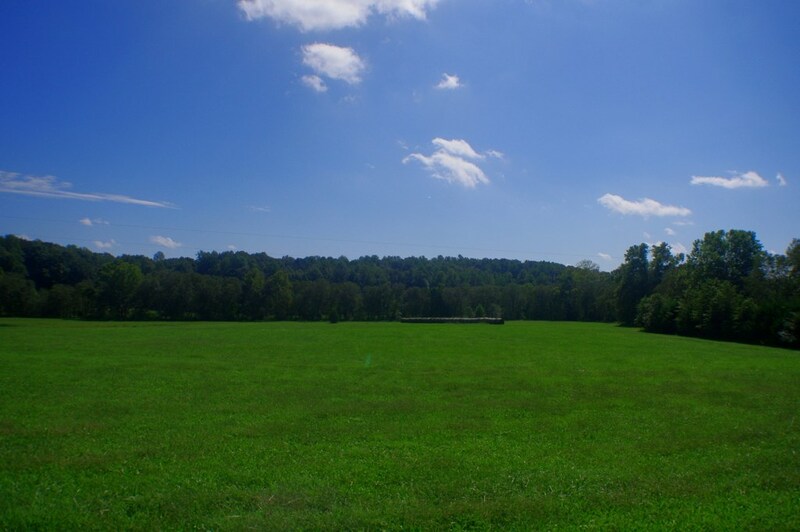 An 85 acre portion of the beautiful and historic Springbrook Farm is being offered for sale. This land has been lovingly cared for by the same family for over 4 generations. The name derived from the bountiful spring and brook that flow through the property, it is one of a kind. The rolling hills, open meadows, wooded acreage, and distant mountain views give this property fabulous scenery. Currently in land use, the property has the potential for a vineyard or brewery with ten acres on the front portion that are zoned for commercial use. 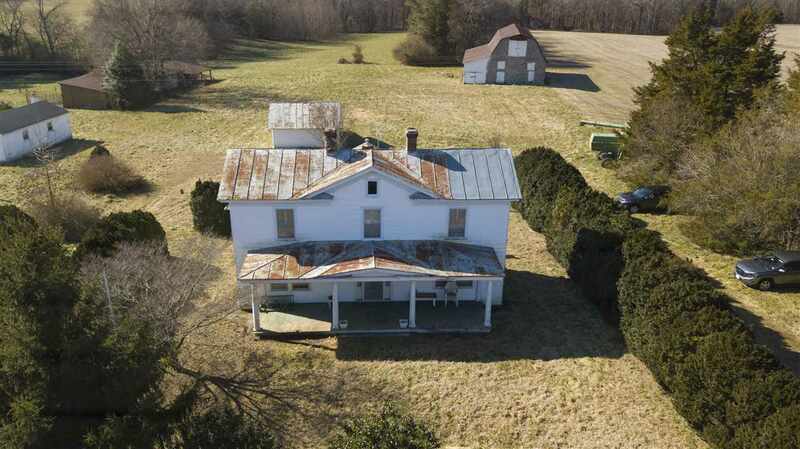 There is a traditional farmhouse on the property that is being sold \"as is.\" Easily accessible off of route 29, 5 minutes from downtown Madison, around 45 minutes to Charlottesville, under 2 hours from DC. This tract awaits you in Beautiful Montebello. 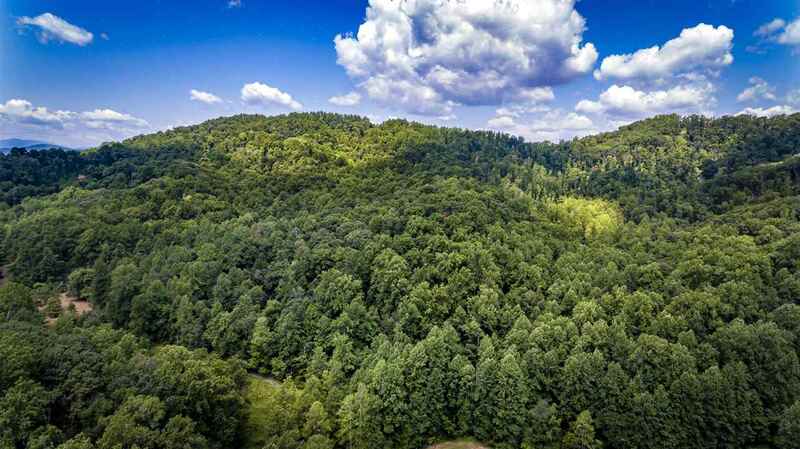 This 87.67 acre tract contains 85 acres of significant timber value and 2 acres are open with rock croppings and views. Moderately sloping to steeply sloping with stream, electric and telephone on property. Multiple division rights, cemetery and close to the Blue Ridge Parkway. Great development potential with 5,000 ft of state road frontage. Also great for recreation and/or hunting. Potential for Conservation Easement as well. Copyright ©2004-2019 Charlottesville Area Association of Realtors®. All rights reserved. Information deemed to be reliable but not guaranteed. The data relating to real estate for sale on this website comes in part from the IDX Program of Charlottesville Area Association of Realtors®. Listing broker has attempted to offer accurate data, but buyers are advised to confirm all items. Any use of search facilities of data on this site other than by a consumer interested in the purchase of real estate, is prohibited. Information last updated on 04/24/2019 10:30 PM.